Some people think the car audio market has lots of untapped potential. 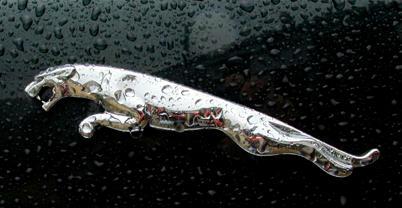 Jaguar seems to agree and is planning on launching Jaguar Sync this August. Sync connects your smartphone with your car's audio system and automatically loads your setting preferences. No more having to flip through the FM dial and reset all the stations to your favorites. Jaguar Sync, due in August, goes beyond its current effort, which just connects the phone and music functions of your smartphone to the AV system. Sync will allow you to push through apps, and that means you should be able to use the navigation system on your phone if you want. Waze currently is the best in market, and this would potentially put Waze on your screen rather than the default navigation application. This also means your application and AV preferences move with you to other cars, along with your phone. Imagine getting into a rental and having all of your destinations, your address book, your music preferences, and even your music services from your phone readily available on your dash. This could lead to a whole bunch of new apps that you could run through your phone to your car -- and this is all just the start.